Janesville is a city of 63,575 with a rich history as well as being beautiful with having more than 2,500 acres of parks. Abraham Lincoln had even been here. He stayed at the Lincoln Tallman House on October 3, 1859. It is now a museum along with several other buildings on the campus. Next door is the Helen Jeffris Wood Museum, with its Parker Pen collection. On the Tallman house lawn there was a plaque denoting the “witness trees”, large Burr Oak trees that were present when Lincoln was visiting. Across the street is the John Peters House, another historic home built in 1857. 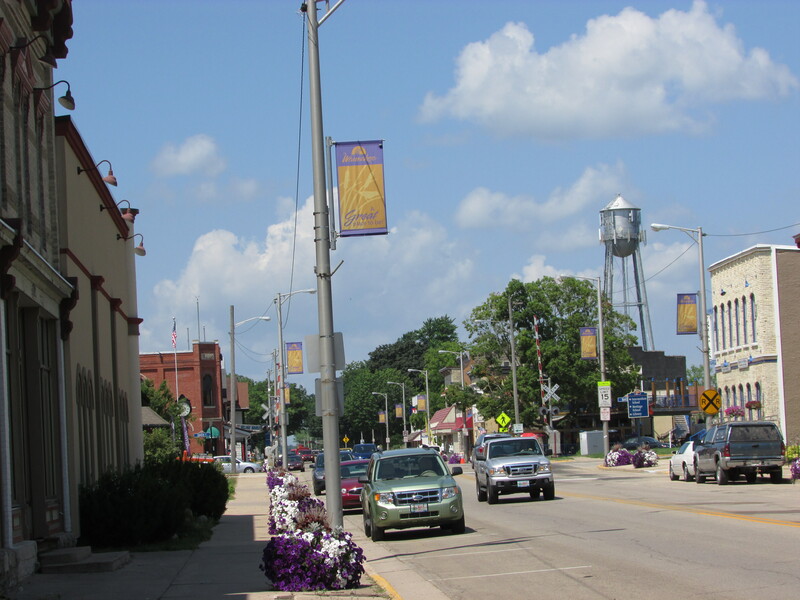 Janesville is proud of its history and offers several Self-Guided Walking Tours. You can install an app on your phone to guide you on the tour. We headed downtown to The Armory. It was built in 1930 and is now an event facility. Contact them here to book your event. We took a break for lunch and went downtown to O’Reilly and Conway’s, an Irish Pub. Great food here! Another great place to eat is the Milwaukee Grill, we enjoyed Friday Fish Fry there. 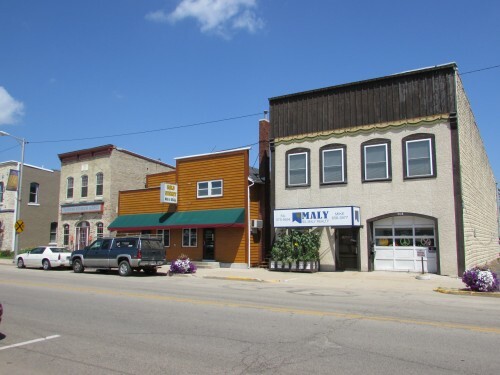 Janesville is in the process of establishing historic districts though building rehabilitation and restoration. This beautiful building is part of the Kent Block on 52 S. Main, it now has apartments. Read more about it here and other buildings. Janesville also has a train depot and four-faced clock nearby. No longer being used for passenger trains, it is now a bus station. We continued past the depot and found RiversEdge Bowl with a real cool sign. Reversing course, we head to the heart of downtown. This was a Carnegie Library, now a senior center. Across from here is the Marvin W. Roth Community Pavillion and amphitheater. This is part of their downtown revitalization project. It turned out we were in the Courthouse Hill Historic District and there were many beautiful homes and churches in the block. Al pointed out a window style I had not seen before, an Eyebrow Window. It is designed to get natural light into an attic. We also found a historic marker that mentioned Janesville as being the site of the first Wisconsin State Fair. Another interesting house, Barnes Double House. We head back toward the car, we had a bit more to see outside of downtown. We saw a photo shoot taking place across the river, they saw us too! We went to the “Janesville Oasis” area near the 90/94 exit to see Bessie the Cow. It is in the area near Arby’s, you can park in the lot nearby. Here is an archive photo from 2005. The oasis sign is no longer there, but the Arby’s is. This area was changed by the new owner Tom Lasse shortly after this picture was taken. You can even pretend to milk Bessie. After paying homage to Bessie, we had another historical marker to see on Janesville’s south side. 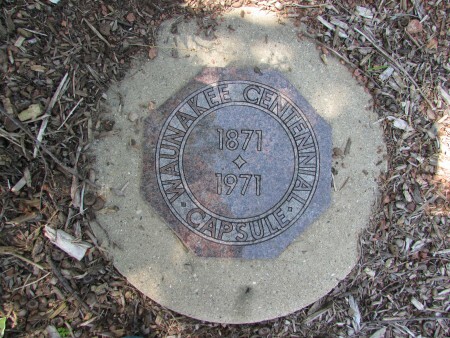 This marker is dedicated to the Blackhawk War and Black Hawk Grove. It has two sides. Blackhawk Credit Union sponsored this important marker. Relax at Palmer Park nearby Rotary Gardens. It was soon going to be dark, and it was time to go to our final destination, Rotary Botanical Gardens to see their Holiday Light Show. It was fantastic, the largest Christmas Light Show we ever went to. Since there is so much to do in Janesville, staying overnight is a good idea. One hotel that helped some friends of ours after a fire was the Baymont. They gave them shelter while they looked for another place to stay. 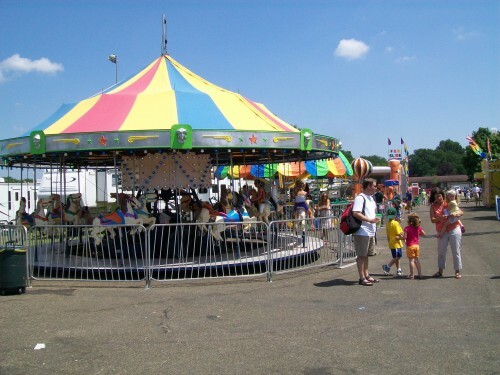 Janesville was a lot of fun and has many activities for young and old alike. We plan on returning to the garden in May 2016 to see it in bloom. Waunakee is Where You Wauna Be! Welcome to Waunakee! The village was first known as Leicester , and was incorporated in 1893. 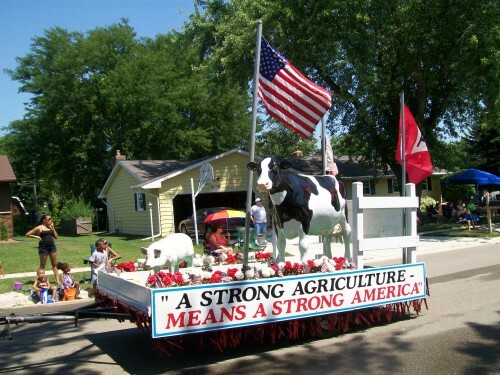 Today its a large village of 12,000 that honors its past while building a strong future. That included the train depot, lovingly restored to its former glory. 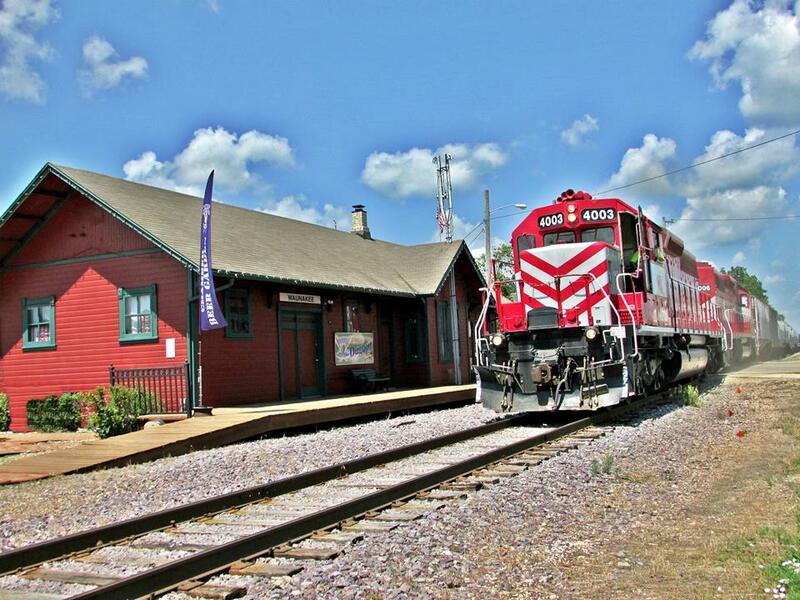 The village had passenger train service until 1963, and was closed for good in 1971. 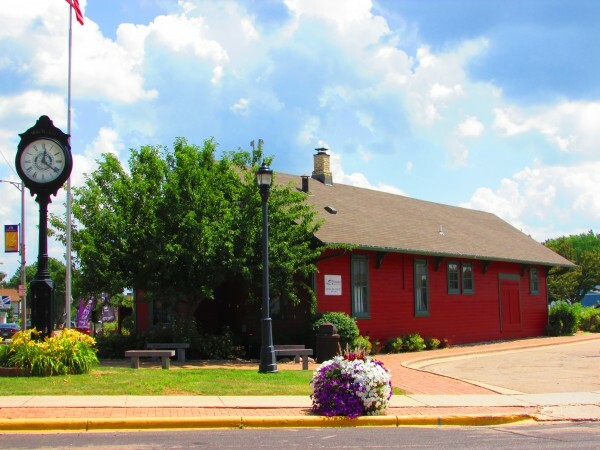 The village bought the depot from the railroad in 1977, it was restored and is now the Waunakee/Westport Chamber of Commerce. The Canadian Pacific train still rides by the depot daily, and I was fortunate to be there when it did. 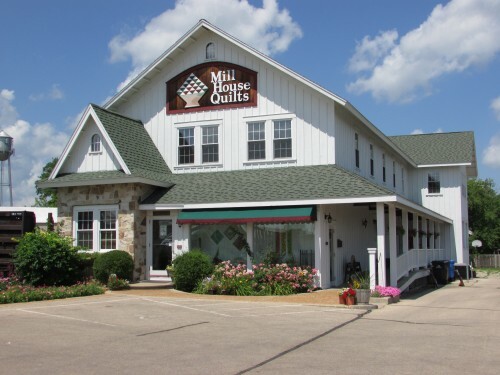 Another historic building that is still in use is a former grist mill, now a quilting store called Mill House Quilts. Six Mile Creek runs through the village. 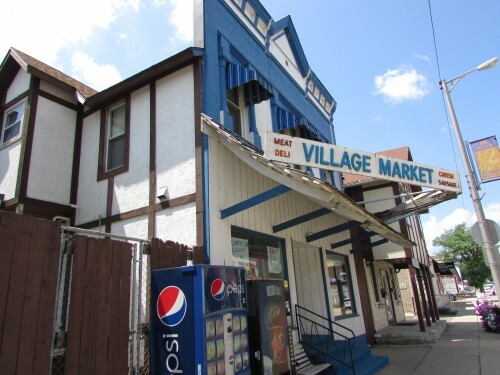 A great place to get meat is the Village Market. Their hamburgers are especially good, locally sourced beef. The also make their own bratwurst. 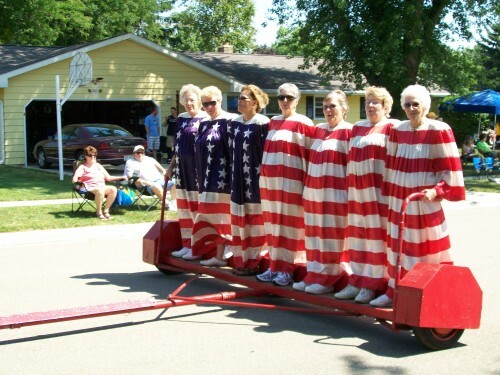 Waunakee also has a big festival held the last weekend in July called Waunafest. This is their biggest festival of the year and brings the community together as well as attracting many visitors. 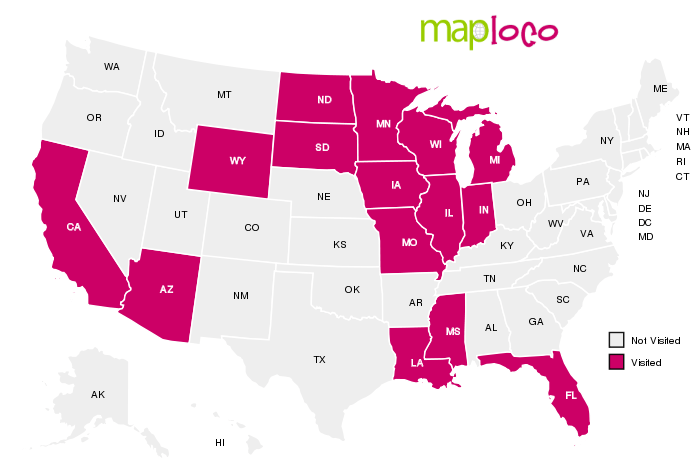 They have a fun run, baseball games, a parade and lots more! 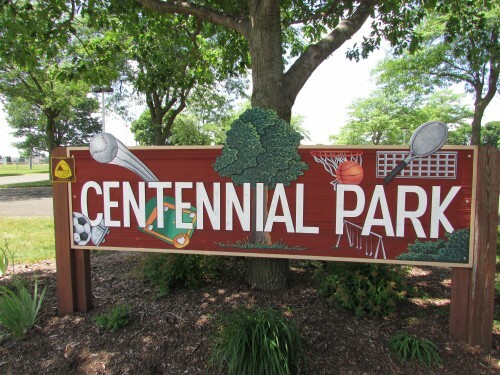 It’s held at Centennial Park. It’s called that because it had a time capsule that was sealed for 100 years. The Christmas holiday season is quite a visual treat as well. 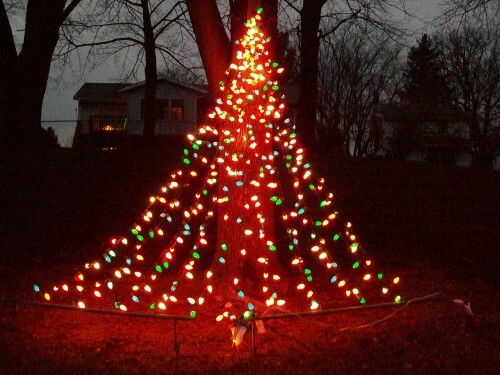 The Waunakee Rotary Club decorates Waunakee Village Park on the East side of town with light displays every year. Very pretty! Waunakee Rotary in Lights is an annual tradition that is a must-see! 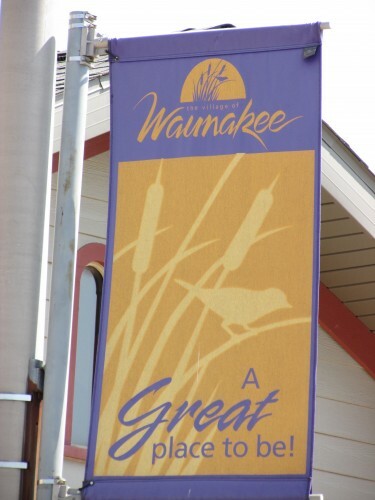 We hope you enjoyed your visit to Waunakee, the place you wauna be!